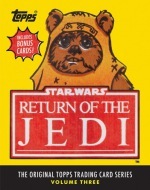 Following the success of Star Wars (1977) and The Empire Strikes Back (1980), Topps released two brand-new sets of collectable trading cards in 1983 to coincide with Return of the Jedi, the final installment of George Lucas’s original Star Wars trilogy. Now, for the first time, all 220 cards and 55 stickers are reprinted in one deluxe volume. 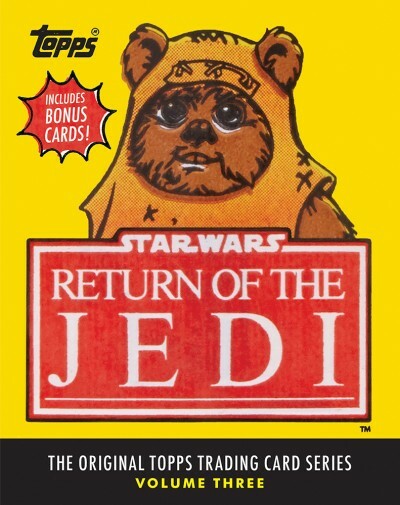 As with the previous books in the Topps series, this collection features the fronts and backs of each card, including character profiles and puzzles featuring all of your favorite scenes from Return of the Jedi. Also included are four bonus trading cards, rare promotional images, and an introduction and commentary by Gary Gerani, the original editor of the Star Wars Topps series.